Portland real estate, much like the rest of the country, is hampered by an inventory shortage. The Portland real estate market has all the pieces it needs to maintain a healthy position in today’s economy. Home prices should continue to rise in Portland for the foreseeable future. 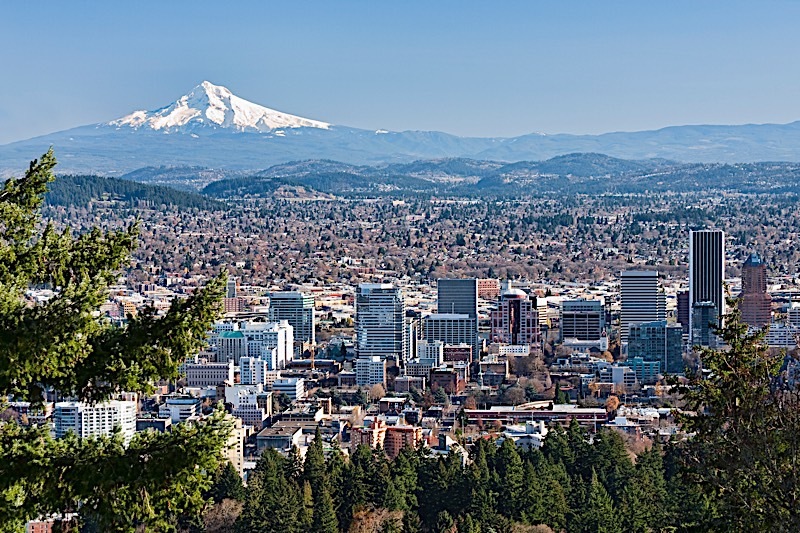 The Portland real estate market is on track to maintain a great deal of the positive momentum it managed to build since the recovery got underway. Nearly every economic indictor is better off today than it was just a few short years ago, and that bodes incredibly well for the local housing market. The median home value in the Portland real estate market, much like the rest of the country, has made incredible gains in a relatively short period of time. Currently at $413,300, median home values in Portland have increased 0.7% in the last year, and are expected to increase an additional 2.6% in the next 12 months, according to Zillow. If values continue on their current trajectory, there’s no reason to believe home values in Portland won’t eclipse $443,000 by this time next year. Due, in large part, to the historically high appreciation rates experienced by Portland homeowners, the city in the Pacific Northwest has been able to cut back on its foreclosure rate. According to RealtyTrac, the number of properties that received a foreclosure filing in Portland continues to drop. In the last year alone, foreclosure filings have dropped 52%. Accounting for the drop, RealtyTrac has identified 497 properties in the Portland area that are in some stage of foreclosure. That means there are nearly 500 properties that are either at risk of falling into foreclosure, up for auction, or that have already been repossessed by the bank. While fewer than before, there are still foreclosures on the market, which begs the question: What can Portland real estate investors do? Those interested in Portland real estate investing need to pay special considerations to local foreclosures. Since prices have increased, good margins are hard to come by, but not impossible. Foreclosures, for that matter, offer investors a great opportunity to add to their bottomline, as they can often be had at a great discount. According to RealtyTrac, “The median sales price of a non-distressed home was $355,000. The median sales price of a foreclosure home was $246,854, or 30% lower than non-distressed home sales.” That means investors who know where to look could save more than $100,000 on a home. Not surprisingly, Portland real estate market predictions are in line with most of those across the country; namely because the city hasn’t found a solution to its own inventory shortage. As a result, it looks like Portland will continue to remain a seller’s market for the foreseeable future. More specifically, however, Portland looks as if it only has about 50 percent of the inventory it would need to satiate current levels of demand. Until new construction can catch up, or even when fewer homeowners opt to keep starter homes as rentals, supply will remain tight and prices will continue to creep upwards. It shouldn’t surprise anyone to learn that prices are expected to increase. In the next year alone, Zillow is forecasting a 2.6% rise in median home values, which could increase the median home value to an impressive $443,000. And, as they tend to do, rents will most likely follow suit. “The median rent price in Portland is $1,895,” according to Zillow, and there’s no reason to believe it won’t increase in conjunction with higher median home values. As the cost of real estate increases, more would-be buyers will be priced out of the market and forced to remain renters. Despite inventory shortages, however, Portland’s economy is in a great place. Unemployment is low, and just about every positive economic indicator is on the rise. As a result, the city should see its population growth trend continue to rise, albeit at a slower pace. With the unemployment rate resting below the national average, there are fewer jobs to go around, which is great news for people already living in Portland, but you can bet fewer will be looking to move there than in the past. The flourishing economy and tempered transplant rate should encourage more building. As a result, I would expect the inventory shortage to be addressed sooner rather than later. And while steps have already been taken, new buildings won’t hit the market for a while. So until they do, expect Portlands prices to continue to rise. Despite experiencing an inventory shortage like the rest of the country, the Portland real estate market remains strong — really strong. The right economic indicators are in place to support the moderate growth we have come to expect, and the city’s low unemployment rate should keep things in balance. It is worth noting, however, that the ascent of home values Portland has witnessed in the last six years shows no signs of slowing down. Median home values have nearly doubled since 2012, according to Zillow, and the rate of appreciation appears to be picking up more momentum. Whereas homes appreciated 0.7% in the last year, there’s no reason to think they won’t jump another 2.6% in the next 12 months. To sum things up, real estate in Portland is in a great place. While it currently remains a seller’s market, there’s still plenty of demand; it’s about as healthy as markets come in 2018. Have you considered investing in the Portland real estate market? Do you currently live there and are simply wondering what to expect? Let us know your thoughts on the city in the comments below.